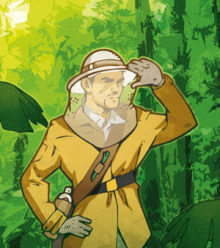 Most of the germs found in tropical and subtropical areas are transmitted by insects that feed off blood, such as the tiger mosquito, the anopheles, or Tsetse fly. 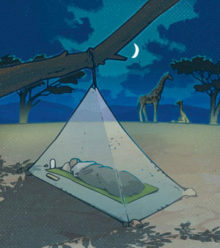 Sleeping under a mosquito net covered with bug spray. 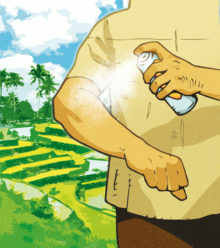 Using anti-mosquito lotions on your skin and bug spray on your clothes. Wearing light colored long-sleeve shirts and long pants. Applying the same rule to all food “boil, cook, peel, or forget it”. Drinking bottled water, even to brush your teeth. Applying strict hygiene rules for the storage and preparation of food. Before going on a trip to a foreign country get informed on the risks and ways to prevent them by going on websites specialized on advices for travelers. And if even after taking all the precautions you end up having a fever or feel sick when coming back from the trip, go see a doctor as soon as possible.